A philosopher argues that the laws and constants of physics are clues that point toward purpose in the universe. For Professor Robin Collins, the universe is like a carefully designed piece of equipment. He illustrates the character of this design using a radio analogy: To listen to a radio station, we need to find a frequency that is located in a very small range of the full range of available frequencies. The listener needs to tune the radio just right to get the station they’re looking for. 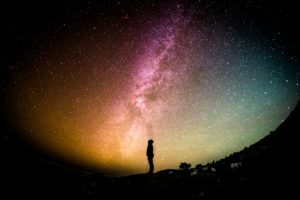 In similar ways, our universe appears to be configured in precisely the ways required for life, and in particular intelligent human life, to exist. For Collins, a philosophy professor at Messiah College, the most plausible explanation for the universe having the configuration it does is that it results from the activity of a purposive Creator. With a $217,000 grant from the John Templeton Foundation, Collins has embarked on a multipart project that combines findings from cosmology and particle physics to make the case that the universe is the result of a designing agent. Other scientists and philosophers have defended similar conclusions in recent years. 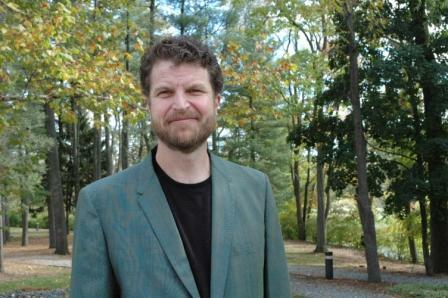 Collins’ work will culminate in both academic and popular publications that aim to investigate the ways in which critical discoveries concerning the laws and constants of physics might indicate that our universe is special in unique and unanticipated ways. In particular, Collins argues that the structure of the universe has the very features required for intelligent agents to understand it. These features not only explain why intelligent life exists, but why that intelligent life can engage in the scientific enterprise. The muon, for example, is a subatomic particle with particular properties that make it useful in identifying other particles in high-energy physics experiments, making it possible explore and test the limits of the Standard Model of particle physics. The muon also has a wide variety of applications outside of high-energy physics, including investigating high-temperature superconductors and looking for hidden nuclear weapons. These uses require that the muon mass fall within a small range of possible values. Were the mass to fall outside of that range, we would be unable to scientifically investigate certain aspects of nature. Collins defends an argument along similar lines concerning the fine-structure constant, which governs the strength of the electromagnetic force. He notes that if the fine-structure constant were just slightly increased, critical types of combustion, such as open-wood fires, would not be possible. The energy emitted by burning wood would simply extinguish the fire. Without fire, human cultural and intellectual development, from early man to the Bronze and Iron Ages, would have been very different, if it were possible at all. There are many more physical parameters, Collins argues, that must be configured within a narrow range to allow for the existence of intelligent life that can engage in scientific inquiry. While alternative explanations are worth considering, Collins believes the most powerful explanation for these features points toward something beyond the physics itself.